The Horse Shoe Farm is comprised of 85 acres of riverfront farmland located along the French Broad River in Hendersonville. Our luxury facilities can accommodate horses and their coaches, owners and trainers on a picturesque equestrian farmland retreat. Guests staying at our charming Hendersonville equestrian center can relax and unwind in one of our available guest homes. Board your horses in The Stable House, one of the most iconic vacation rentals on our property. Fourteen spacious horse stables line the first-floor catwalk, in addition to a wash stall, feed room and tack room. However, we remodeled the second story loft into a charming, spacious rental that can accommodate up to ten people. Five bedrooms, three bathrooms and an open concept dining and living area fill the space. An elevated deck allows for spectacular sunset views of the farm during dinner. In addition to accommodations fit for a king, The Horse Shoe Farm boasts plenty of space for horses to roam. Our Hendersonville equestrian center features a number of field run-ins, an outdoor riding ring and over 50 acres of fenced in pasture. But that’s not all. Although our farm boasts a feeling of seclusion and privacy, we’re located just thirty minutes away from the Tryon International Equestrian Center. Avoid the hustle and bustle of downtown Asheville and instead board your horses in the peaceful sanctuary of The Horse Shoe Farm. 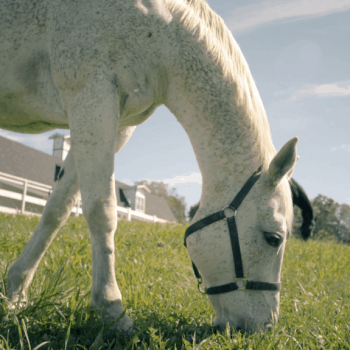 Contrary to our moniker, The Horse Shoe Farm doesn’t just cater to our equestrian friends. We feature luxury guest homes and event venues that are perfect for hosting weddings, family reunions or corporate retreats. The Horse Shoe Farm is a one-of-a-kind luxury mountain retreat in the heart of Western North Carolina. No other Hendersonville equestrian center can rival the charm, amenities and convenient location of The Horse Shoe Farm. Contact us to learn more.